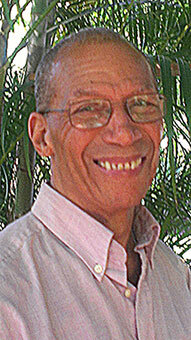 Harold Koning, Ph.D., MSW, M.Ed., C.Ht., is the founder of Dynamic Wellness Strategies. He is a Life, Wellness and Career Coach. His training includes a Doctorate in Social Psychology, a Master of Social Work, Master of Educational Technology, Master of Clinical Rational Hypnotherapy and Certification in Medical Hypnosis. Dr. Koning completed his postgraduate training at the prestigious Harvard Medical School Mind/Body Institute and developed “Potential Based Coaching Systems” a Mind/Body healing approach based on self empowerment, self care, truth and freedom. Dr. Koning has taught and practiced Qi Gong for 25 years, is an instructor of Indonesian Martial Arts and a Master Drummer in the Afro-Caribbean tradition. He is fluent in English, Spanish, Dutch, French and Surinamese Creole; and has an extensive work/research history in Europe, South America and the Caribbean. Having lived in South Florida for the last 21 years, he served a seven-year tenure as a Research Associate at the University of Miami School of Education and was an adjunct faculty member at St. Thomas University/Miami for three years. the National Center for Communication and Justice just to name a few. Dr. Koning is featured in the book titled, Turning Dreams Into Success by Bunny and Larry Holman. His motto: “I practice what I teach”. Dr. Koning’s work style is an integration of Mind-Body Medicine, NLP, Humanistic Psychology, Trans-personal Psychology, Guided Affective Imagery, Kinesiology, and humor.